The user can have a preview of the structure to be created on SmugMug. 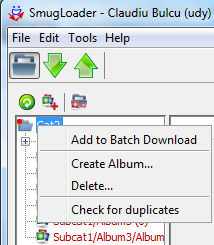 The red star indicates that there are unfinished downloads. A similar star exists for unfinished uploads. In case the connection fails, there is a Reconnect command. Also the user can connect with a different SmugMug account. 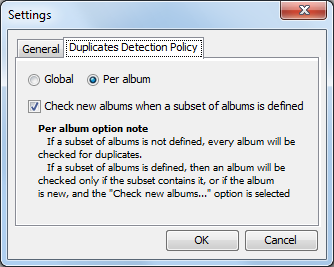 A subset of albums can be marked for duplicates detection. have been marked for duplicates detection (starting with beta 4).